The Learning Thermostat is a staple of a modern smart home. It’s beautiful, easy to install, and works well. At $249, it’s likely more expensive than four standard thermostats, but the home owner should see lower energy bills thanks to the built-in sensors that monitor the home, automatically adjusting the temperature when it senses no one is around. The Learning Thermostat can also be fully controlled from a smartphone or the web. Want to make sure the home is toasty warm when you arrive? Load the Android or iOS and pump up the heat a few minutes before you get home. 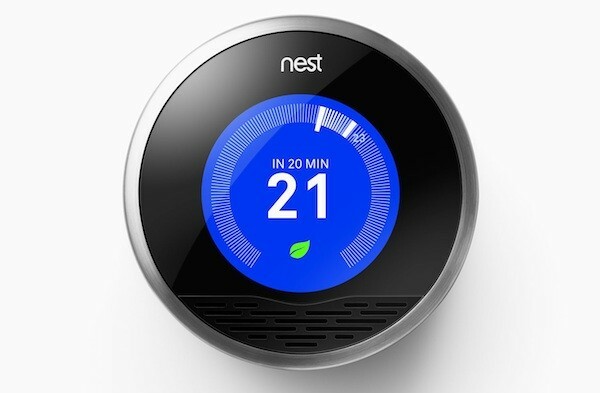 Nest didn’t just reinvent the thermostat. The company recently revealed its take on the smoke detector as part of the company’s quest to transform the home. The Protect is a smoke and carbon monoxide detector that connects with a smartphone, notifying home owners of potential problems like low battery level as well as when their house is on fire. Plus, if you happen to burn the bacon, you can simply wave your hands at the Protect to silence the alarm. It’s $129 and available in white and black. Think of the Philips Hue as a smart light bulb. The LED light can change to a huge number of colors all controlled by a central bridge connected to a smartphone app. Wake up to warm lighting. Go to bed to deep auburn. Recreate a stale library with bright white. It’s all possible with the Hue. Plus, a bunch of 3rd party applications are available, transforming the simple light bulb into a pretty interesting gift. The best way to get into the Hue light is to purchase a four-pack of the bulbs. Available for $199, the Starter Pack, includes everything a person needs to take full advantage of the lighting system. 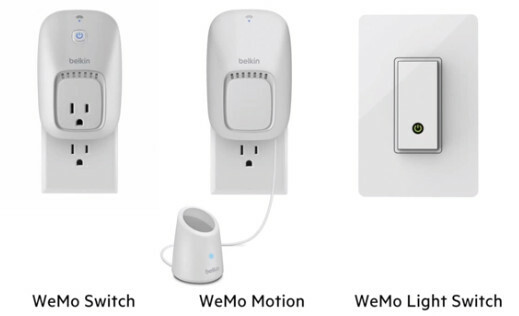 The Belkin WeMo are Internet-connected outlets. Turn on a baby monitor. Control a coffee machine. Click on a space heater. The Belkin WeMo outlets controlled by smartphone apps make all of this possible. There are several different options available. Starting at $49.99 the Belkin line includes motion detecting outlets, light switches and even one model that includes energy monitoring, allowing the home owner to track the outlet’s energy consumption from afar. Meet Revolv, a novel way to wrangle all of these stand-alone home automation products. Give this to the person that already has the aforementioned products and is stuck controlling their home through a bevy of smartphone apps. The Revolv allows for smart macros. Click one button to turn on a space heater with a WeMo, change the lighting on a Hue, turn on a Sonos system, and lock the doors through a Yale lock. Click another button to turn everything off. It’s $299 and the ultimate gift for the person that already has everything. The Sonos Play:1 is the latest addition to the Sonos family. At $199, and relatively small, it’s the baby of the group. But the small size is deceiving. We found in our testing that it still packs a big sound and in traditional Sonos fashion, makes playing music a trivial affair. Give the Play:1 to a Sonos newcomer or to a person who already has a Sonos system. Both will love it and will instantly find a place to work it into their home. With the $199 Play:1, Sonos now has options at nearly every price point. The V5 is a gorgeous $399 speaker from Wren Sound Systems. It sounds great, and looks even better. Bluetooth and AirPlay options are available. When sat on a shelf or tabletop, the speaker harkens to a time when speakers were subtle, designed to fit within a home rather than stand out like a sci-fi movie prop.